There’s hardly a day goes by without some news in the education sector of teachers reaching their limit. Stories of mental breakdowns and of teachers leaving the profession in droves doesn’t fill those new to the profession with much confidence about their chances in the future. But, according to a new book written by experienced teacher and researcher, Dr Emma Kell, it is entirely possible to survive and do well, despite the fact that the teaching profession is facing a genuine crisis. Kell believes there are ways to survive the increasing pressures in the teaching profession. Her book, How to survive in teaching, without imploding, exploding or walking away, offers realistic and practical answers to survival as a teacher and gives a positive spin on the challenges and rewards of teaching. Kell has two decades’ experience in the classroom and describes her book as a ‘celebration and a call to action.’ She points out that all too often teachers become bogged down with toxic politics and conflict, and this along with other workplace stress leads many teachers to make the decision to walk away. A book review in Schools Week of Kell’s work reminds us that most teachers strive to be creative, express their individuality and show a passion for the subjects they teach. Most teachers, Kell argues, want to be brilliant teachers and make a difference to those that they teach. Kell calls upon teachers to say no to excessive workloads. One piece of advice Kell stresses if you want to survive in teaching without imploding, exploding or walking away is to leave on time. Kell explores some interesting strategies and looks at some successful models where teachers can feel supported, yet challenged, feel accountable and enjoy a sense of being valued. Chapter 3 of this interesting and frank review of what’s really happening in our education system summarises just what to expect if you are joining the teaching profession today. Chapter 4 offers responses to the challenges this profession faces. She proposes teachers should respond to curriculum changes and not take them lying down. Her message? To fight back. This is a book every teacher, and anyone considering entering this profession, should read. It spells out the facts on the challenges teachers face, but also offers hard-hitting advice on how to survive the perils of modern day teaching as well. 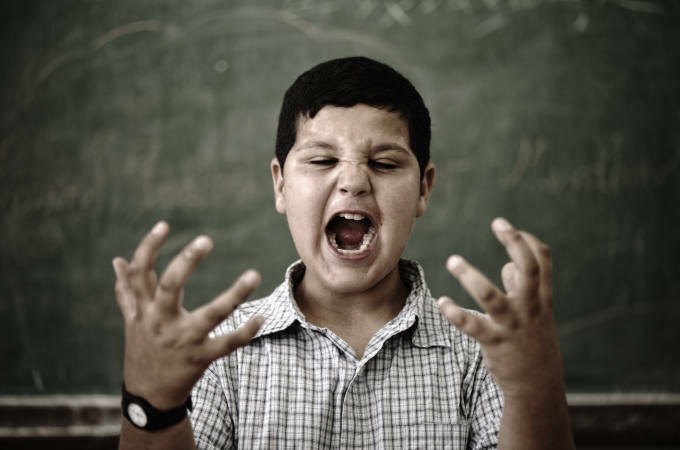 Almost every child gets angry at some point in the classroom. Anger is a normal emotion. But, a child with anger issues is likely causing turmoil and disruption to your class. So, how do you support a child that has persistent angry outbursts? Follow our 7 steps to make a difference. A child with anger issues needs support. It is vital that you stay calm. Raising your voice will only escalate the incident. A volatile pupil may trigger feelings of frustration in you. It’s imperative that you keep those feelings under wraps and remain calm to avoid the situation spiralling out of control. Keep a close eye on the child. Simply sending the child on an errand when you can predict a problematic situation could help avoid another outburst. Intervene early and you have the most chance of getting the child to forget what he or she was angry about. Drawing, working with clay, and writing in a journal are all activities that may prove helpful for a child with anger problems. Using a stress ball or getting the TA to take the child for a quick walk may be enough to avert pent up frustration. Acknowledge effort when the child is successful in using an activity to release tension and avert an outburst. You need to try and build a relationship with the pupil. Make a special effort to connect with the child. Ask the child about interests and hobbies and listen actively. It’s likely the child doesn’t trust teachers. If you can gain a level of trust, the child may talk to you about what is upsetting them. If the child is unresponsive to your enquiries, spend time observing them to see if you can identify triggers. Also, check in with previous teachers to see what they observed. They have more knowledge about the child’s situation. Understanding patterns will enable you to step in and diffuse situations before they reach breaking point. After an angry episode, and once the child has calmed down, ask them to write down what happened. Get him, or her, to express what triggered the anger, how he or she responded, how others reacted and how they could deal with the same situation differently in the future. Removing a child from a situation that is triggering anger is the safest and best thing to do. It’s important that the child knows going to a cooling off area is not a punishment – it is a supportive tool to help the child calm down. This could be the school office, a nurture assistant’s office, to another class or to the water fountain or bathroom. Be careful that the child doesn’t use the privilege as an excuse to escalate behaviour. Teacher wellbeing has been in the spotlight for a while now. 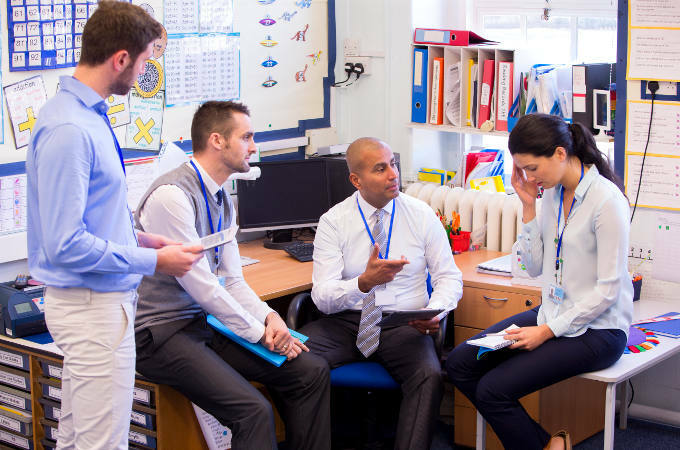 Research carried out last year by the Education Support Partnership revealed a bleak picture in view of the current pressures in the education profession, and the impact those pressures are having on the health and wellbeing of teachers. Work-load and work-life balance were cited as the main causes for psychological, physical or behavioural problems associated with work. The survey of 1, 250 education professionals found the implementation of health and wellbeing policies in the education sector is inconsistent. Education professionals expressed a desire for more support on mental health and wellbeing issues in the workplace. Headteacher, Daniella Lang, at Brimsdown primary school in Enfield, north London, took the decision to set up a staff wellbeing team, following a troubling time at the school. Problems within the school resulted in two Ofsted inspections, led to redundancies, and left morale amongst teaching staff low. The results of the staff wellbeing plan, she said, have been extraordinary. Prioritising staff happiness at work has far-reaching effects. As well as greater harmony in the staff room, the process benefits pupils too. Here’s how to get a wellbeing programme started. Create a forum for all staff members to be open and honest about how the pressures of work are affecting them. Consider fairness, consistency and any problems associated with workload. It’s far better to grow a wellbeing programme slowly and organically, than to set yourself up for failure with unsustainable projects. Motivational posters and small initiatives to support staff who appear to be struggling can start to bring the focus onto wellbeing. Also, give teachers and support staff the chance to contribute their ideas. Look at ways to manage workload more effectively, both at school and with marking or preparation done at home. Look for more efficient ways of sharing resources. For example, switching to more verbal feedback, rather than written, could cut down the amount of marking that needs to be done outside of school lessons. Having an open-door policy and supporting well-being practices within the school will help to make your school a happier place to be. It’s really important for staff to feel supported by their managers. Setting up a wellbeing team is a good idea. Provide opportunities for staff to learn about new techniques to cope with work pressures. Mindfulness activities and weekly priority lists are a good place to start. Cultivate an environment of increased awareness. The earlier problems are identified, the easier they are to resolve. Positive interactions will help to nurture healthy relationships between colleagues. A simple smile and ‘how are you’ can be incredibly powerful. Try to encourage and establish a coaching culture where staff work together to support each other. Give staff the opportunity to take part in physical exercise, such as a running club, yoga or aerobics class. Ensure healthy options are available for lunch and provide easy access to water, so staff can keep hydrated throughout the day. A simple wellbeing policy can create meaningful change for teachers. Despite a plethora of well-meaning interventions, bullying is still a common problem in UK schools. In a recent report on bullying in The Guardian, Elizabeth Nassem, Researcher at Birmingham City University’s Centre for the Study of Practice and Culture in Education, argues that many schools have not had adequate guidance or training on how to tackle bullying effectively. Nassem, who has been researching bullying for more than 10 years, has found the most effective approach to bullying to be one that involves the pupils themselves. She argues, the best way to stamp out bullying behaviour is to build empathy between those affected. It is common for schools to focus on the obvious forms of bullying, such as physical aggression, when in fact bullying can range from mild to severe from a whole spectrum of negative experiences. These experiences can be anything from name calling to full-blown hitting. Involving children and advocating an anti-bullying culture is the way forward. Here are 5 ways teachers can achieve just that. Look beyond the labels of ‘bully’ and ‘victim.’ Ask the children in your class to share their experiences of bullying. Encourage open discussion about why children might bully others, and how they think it should be addressed. Encourage children to include ostracised pupils in activities. Create an environment where peers want to help each other. Offering mentoring to bullies is essential if you are serious about breaking patterns of negative behaviour. Helping the child understand why they engage in this type of behaviour will help them to respond in a more positive and respectful way in the future. Use role play to help the pupil understand the consequences of his or her actions and see through different responses. Consult with children who engage in bullying and with those who experience bullying. Encourage children to talk about how they feel and how they can respond more productively to bullying behaviour or the things that trigger bullying behaviour. Bullying research expert, Nassem, found in a recent study that pupils writing in diaries regularly were able to engage with bullies and resolve bullying behaviour much more frequently on their own as opposed to reporting the incident to teachers. When children are in conflict with one another, the underlying problem is more likely to be resolved when the two sides are brought together in a meeting. If the bully is able to explain why he or she is acting in that way, the victim is more likely to be able to play a constructive role in finding a solution. In order to create an environment of mutual respect between pupils, there needs to be a culture of respectful relationships between staff and children. Teachers should consistently speak to students with respect and listen to children. Pupils are then more likely to do the same with their peers. Teaching is a highly demanding job. There’s no shortage of challenge and staying positive throughout the school year isn’t always easy. Many teachers come back from the Christmas break feeling slightly jaded from over indulgence, but with every intention of making the New Year a positive one. Throw in these 4 essential ingredients and you’ll have every chance of making it through the school year with a positive spin all the way to the summer holidays. Concentrate on the conditions and learning will happen. Great teaching can change lives. It’s what every great teacher aspires to do. You can give your pupils as much information as you like, but without an inspiring relationship with your class, much less learning will take place. Find connections with your students and use this to make the material you are teaching relevant. Your aim is to motivate. Teach your pupils to never miss an opportunity to be fabulous. Use your posture, presence and demeanour to support your endeavour. Being an inspiration shouldn’t stop at the classroom door. Inspire colleagues to stay positive too. 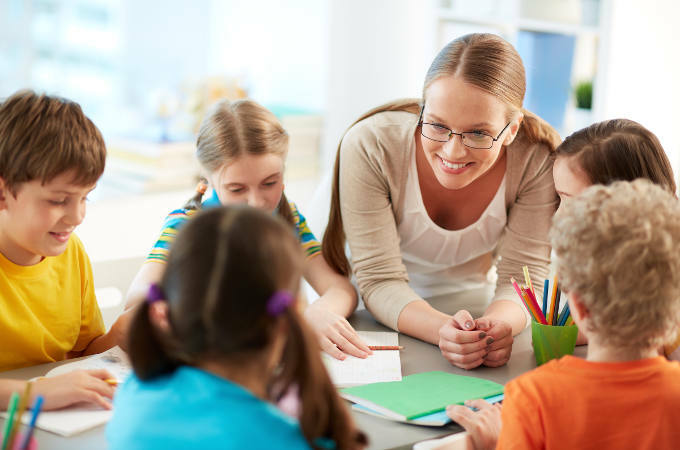 It’s no surprise to learn that teachers who have a growth plan, not just for their teaching career, but also for their personal life, often have greater success with their students. Teachers who are in learning, have a greater capacity to understand the difficulties and obstacles pupils face with their learning. Being a teacher is a vocation. That’s why many teachers end up doing additional teaching outside of school, such as at a YMCA or a youth project. Even if you don’t have time for that, address how you speak with friends in various situations and use positive dialogue to promote the growth of the teaching profession. Staying positive inside and outside of school is probably the most difficult to carry out, but a positive attitude is a catalyst for positivity from your pupils in the classroom. Positive actions need to be taught. Don’t assume your pupils automatically know positive behaviours and what is expected of them. Create a classroom code of conduct to help the children in your class understand positive and negative behaviours. Ask your pupils the ways they like to be treated and elicit lists of behaviours that are respectful, fair, kind and empathetic. Strengthen the motivation for sticking to the classroom behaviour code by recognising and acknowledging positive actions. Ultimately, you want students to identify with good behaviour and feeling good about themselves. France are ramping up efforts to pare back the amount of time children spend using their mobile phone by imposing a complete ban during the school day. The French education minister, Jean-Michel Blanquer, announced that all students in the country’s primary, junior and middle schools (that’s all children up to the age of 15) will be banned from using their mobile phones at anytime during the school day from September 2018. According to a report in The Telegraph on the French mobile phone ban in schools, studies suggest that a significant number of pupils continue to use their mobile phones in class and receive or send text messages. A Paris headmaster, Philippe Tournier conferred that up to 40 per cent of punishments are mobile-related, indicating that mobile use during lesson time is a significant problem. The French government are keen to address the problem of mobile phone use amongst children, which they say is a public health issue, but headteachers across France are sceptical about how the rule can be enforced. So, should the UK follow France’s lead? 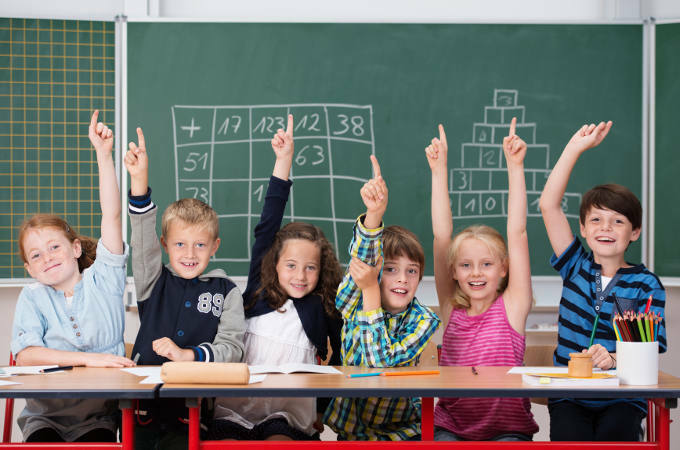 According to a snap poll carried out by Tes (the Times Educational Supplement), 72 per cent of teachers in the UK believe the UK should follow suit. A previous survey by Tes, Mumsnet and First News in 2016 revealed that teachers were split over the issue, with many teachers stating that phones were an important resource in learning. On the recent snap poll, teacher and Tes writer, Joe Bipham, said: “I believe that protecting pupils for a few hours a day from the potential dangers is a good thing though and I would support it. However, clear guidelines about not having them out at all in school work as well as a national ban. Teachers in the UK are the one’s battling mobile phone use in the classroom. If teachers are calling for a ban, perhaps we should listen. Attention to learning strategies isn’t new. In recent years educational researchers from Australia have found that students vary widely in what they know about how to learn, and that low-achieving students may be struggling because of a gap in their knowledge about how learning works. What is the topic for learning? What will be the important ideas in this topic/lesson? What else can you relate this to? What will you do to remember the key points? Make it stick – this is the least fun part of learning, but forcing recollection of facts is just like working a muscle. The more you do it, the better it gets. Use flash cards to help recall facts. Connect new things to old – explaining how new information connects to old is all about weaving threads. The more connections you have between topics, the easier they are to remember later on. Try to link subject matter to stories or examples to help cement the ideas. Don’t make assumptions – just because you have found a particular topic easy, it doesn’t necessarily mean you will remember it. Still use a variety of learning strategies to commit learning to memory. Reflection – looking back helps students feel more confident about moving forwards. Research by the Harvard Business School suggests that spending time reflecting on experiences is the most important aspect of the learning process. Teaching effectively is more important than ever. Unsurprisingly, increasingly stretched resources, increasing class sizes, and the use of ineffective learning strategies can have a huge impact on teacher workload and wellbeing. Ineffective learning strategies also have detrimental effects on the outcomes for children. Carl Hendrick, head of Learning and Research at Wellington College, has written extensively on bridging the gap between research and teaching practice. In his book What Does This Look Like in the Classroom?, he points to mounting evidence suggesting that a lot of what teachers have been asked to do in the classroom has been at best ineffective, and at worst a waste of time. He goes on to say that this has led to an unsustainable level of workload and teacher burnout. Hendrick shares his views in an article written for The Guardian. Here he argues there is significant evidence suggesting that teachers should prune what they do in the classroom and create conditions where children can gain long-lasting knowledge that can be applied across a broad range of subjects and situations. In a book review by the Chartered College of Teaching, Hendrick’s publication is being lauded as an incredibly timely book. “Interest from teachers in educational research has never been greater, but understanding how to apply it in the classroom can be a minefield.” They recommend that all teachers read the book, both those new to the profession and the really experienced. 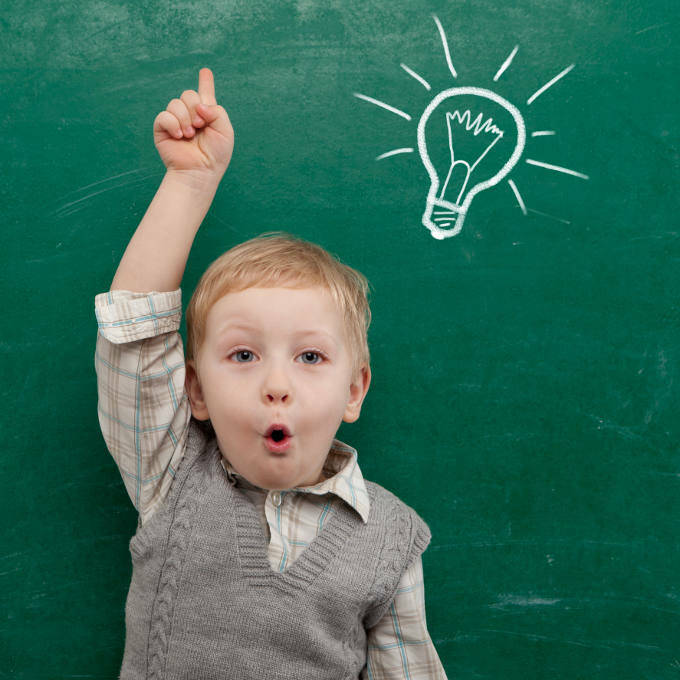 1 – Revisit learning: It’s not enough to teach a subject and expect pupils to remember everything. Effective learning requires teachers to expose children to new information a number of times. 2 – Check understanding: Teachers need to know their pupils well and recognise common misconceptions. Judicious questioning to test students’ knowledge is imperative. 3 – Provide meaningful feedback – On students, not work: Feedback needs to enable children to do a better job next time. If the feedback doesn’t help them do that, it’s pointless. 4 – Create a positive classroom environment: Expectations in terms of behaviour need to be clear. If what is expected is clear, it becomes the norm, not an aspiration. Creating an environment where children are respectful and understand the privilege of learning is paramount to effective learning. 5 – Offer lots of support and guidance: When children encounter difficulties in learning they need encouragement and support. Limitations in memory can be problematic for some students and usually only expert learners are able to work independently. Guidance in the form of additional explanations and examples, along with sufficient instruction are crucial for enabling students to succeed and work independently in the long term. 6 – Avoid overloading learners: While too little cognitive load leads to diminished learning, overloading learners, especially in complex tasks, has been shown to exceed cognitive bandwidth. New information should be presented in small steps with worked examples in order to provide the building blocks required for effective learning.